Retired Model Touch of Paradise with 2.00 total carats - 14k White Gold - Ring size - 8.25 was added to your cart. A feminine classic: this infinitely beautiful Eternity band has twenty breathtaking Round Brilliant cut Contemporary Nexus Diamonds. Wear it as a wedding ring or on any finger to make a sweet statement. 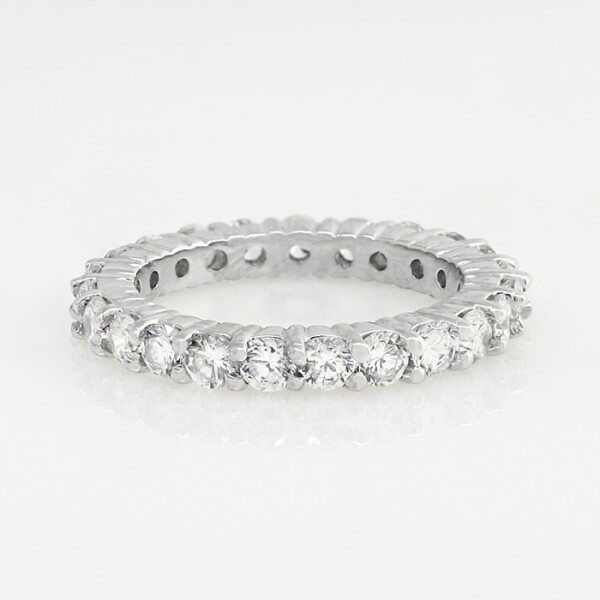 This is an older version of the Touch of Paradise eternity band. The latest model can be viewed here.